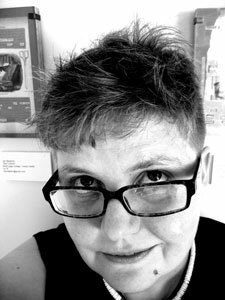 Jen Besemer is the author of several chapbooks, including Ten Word Problems (White Knuckle Press) and---with Tim Armentrout---The Earth Is What Happens (Livestock Editions). Since 1989 Jen's poems and hybrids have been exhibited, performed and published in curious places. Much of this work can be found in publications like Otoliths, BlazeVOX, e-ratio, ARTIFICE, PANK, Sentence and Drunken Boat. Jen lives and works in Chicago. Keep track of other projects at www.jenbesemer.com.